I have a lot to learn when it comes to taking decent miniature photos. I know it's one of the most important things to get right-- why spend the extra time painting display miniatures if you can't take decent pictures of them? They're difficult to photograph since the miniature scale is so small and the details are even harder to capture with an average camera phone. I've seen various set-ups of small studios with camera tripods and light boxes-- though the professional-grade equipment is a considerable financial investment. I've also seen home-made light boxes and economical solutions that seem to yield quality photos that fit the needs of most painters. 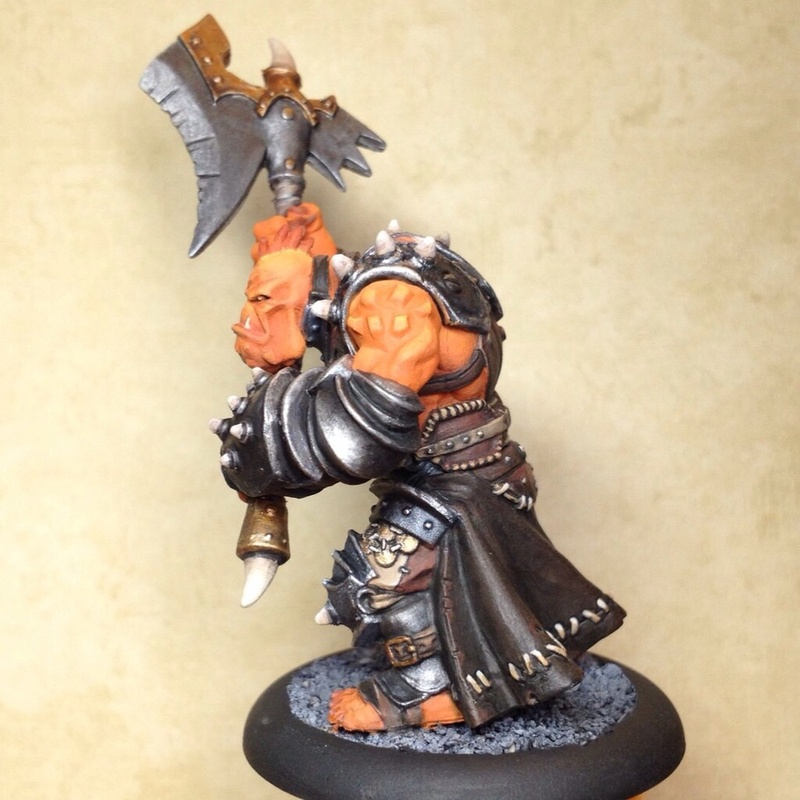 While images of the most-recently-completed Troll Axer mini are posted here, I have a long way to go before I can photograph them with perfect diffused lighting, etc. So far, I've been taking pictures with awkwardly-placed desk lamps, scrapbook paper backgrounds I found at my local Hobby Lobby, and my iPhone4. Since I've practicing new & different techniques as I build on my experience, that's been totally acceptable. However, it's time I thought about investing in a proper camera. I gave myself a goal of painting & blogging consistently for 6 months (I started April 2014), and only then will I allow myself to start looking a decent camera. It's the next practical step and I know it will motivate me to commit the time needed for bigger projects & display-quality miniatures. In the meantime, I'm focusing on speed painting to learn how to paint faster and smarter!